A startup mindset may be just the thing to get organizational elephants to tap dance. Here are a few lessons from early-stage companies, extracted from our 2016 coverage. Enterprises that want to survive, and possibly thrive, in the digital business era may want to step back from yet another blue-ribbon committee, exploratory task force or any number of big-business-as-usual routines. Executives from a range of industries now see the formula for success in the opposite direction: Emulate the startup mentality. Digital businesses grow rapidly and those following the platform business model can prove especially explosive. Uber, the in ridesharing space, launched in 2011 and hit the billion-trip mark in December 2015. Established enterprises are starting to realize that if they want to keep the upstarts from eating their lunch, they can't afford to bog down in bureaucracy or adhere to hidebound operating procedures. Indeed, companies that make speed and agility their watchwords stand a better chance of success amid the sweep of digital transformation. Other hallmarks of the startup mentality include a readiness to exploit new technologies and a willingness to build products and services incrementally, rather than on a big-bang basis. This article, stemming from a panel discussion at the 2016 MIT Sloan CIO Symposium, examines how aspects of startup culture have made their way into traditional financial services firms, including 232-year-old BNY Mellon. Among the takeaways: Digital transformation calls for rapid experimentation and the minimum viable product approach, in which a company quickly establishes a baseline feature set and then adds additional functionality based on customer feedback. Getting the jump on emerging trends is another page from the startup culture playbook that banks have borrowed: BNY Mellon, for instance, has deployed nascent blockchain technology in a production system. The sharing economy offers more enterprise lessons on the startup mentality. A TotalCIO blog post, also based on the MIT CIO conference, details the experience of Uber's platform approach. From Uber's perspective, the platform model offers speed to scale and the advantage of flexibility. Uber provides transport as a service, but the actual delivery mechanism is open to change. The current car-and-driver business could eventually shift to autonomous vehicles, as Uber's testing of driverless cars suggests. However, enterprises following the platform path will need to pick their battles carefully. A platform that has achieved network effects as more value creators and more consumers interact on the platform can be hard to overtake. Simply put, a prospective rideshare driver is more likely to join a platform with lots of customers than one with few. 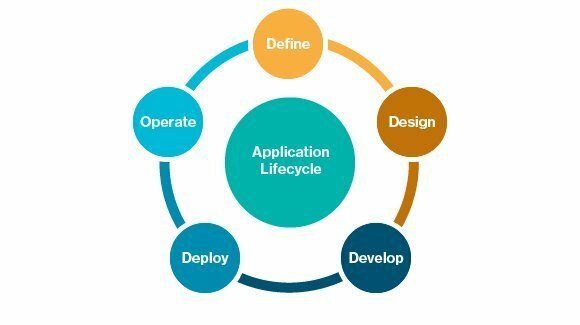 A look at the DevOps cycle approach taken by apps such as Uber. If they want to keep the upstarts from eating their lunch, established enterprises can't afford to bog down in bureaucracy or adhere to hidebound operating procedures. The world of online music is chockablock with streaming platforms. But Soundsgood, a startup chronicled in this feature, shows how not to follow the crowd. (See sidebar for additional views from Soundsgood on what enterprises can learn from the startup mentality.) Instead of developing yet another streaming service, Soundsgood created a platform that lets music influencers, such as DJs and music critics, build playlists that can be shared across multiple streaming services. The API and cloud-driven venture also underscores the importance of technology in platform startup culture: One of Soundsgood's founders is its CTO. Startup camaraderie could be another quality worth emulating. Soundsgood is based in Paris' Sentier neighborhood, which features a number of tech ventures. CTOs in the Sentier startup ecosystem help each other on technical matters. Collaboration was also a theme in this feature in which Peter Weill, senior research scientist at the MIT Sloan School of Management, likens traditional corporations to ripe peaches that quicker, leaner startups seek to devour in the new digital economy. One way to potentially avoid that fate is to share data and technology with other companies, in a bid to respond more rapidly to customers' ever-shifting needs. "Because they feel their cash flowing away, startups are forced to do only what's necessary to quickly achieve high-value results," Viallet said, noting that innovation can stall at larger companies because too many people are involved and there's a lack of focus. Viallet suggested a small team is best suited to pursue a given enterprise innovation project. He recommended that the team have its own office outside the corporate confines, yet retain high visibility within the whole organization. The team should also have a definitive one-year deadline before make-or-break. Companies that launch inside-startups "often fail because they force their team to do business as usual," Viallet said. Larger companies can indeed learn the lean lessons of a startup, as this Q&A segment with a senior IT executive at Nationwide Mutual Insurance Co. attests. The company's IT function brought together Agile and Lean practices, applying them to software development and other parts of the organization. The company began with small-scale experiments, working iteratively in accordance with the Agile methodology, and ended up with about $28 million of annualized savings just from software engineering. IT transformation initiatives call for a change in mindset as well as the adoption of new methodologies. As this feature on "The IKEA effect" points out, IT managers tend to strongly identify with the systems they have built and maintained, making it hard for them to try new things or step away from time-worn legacy systems. Taking more of a startup mentality, one not burdened by the baggage of previous investment, can help organizations move ahead, however. Retraining employees or changing the composition of the IT team rank among the top ways to part with entrenched ways of doing business. Not every piece of startup culture is applicable to larger organizations, of course. While "failing fast" may be de rigueur among Silicon Valley startups, it's not the sort of philosophy that comports with organizations that carry out essential services. In this conference notebook, digital officers from SAP and the city of Boston talk about how startup culture can be recast for the enterprise. Both officers have morphed the notion of fast failure into continuous experimentation. SAP, for example, aims to run hundreds of small bets each week, rather than 10 big bets over the course of a year. It's all about taking several small bites from the apple. Or the peach, if you prefer. Find out how to apply creative entrepreneurialism in the IT shop. Learn about Salesforce's efforts to back startup culture in Europe. Read more about the startup culture approach. How have you applied the startup mentality to your daily operations?